If you are looking for new methods that will help you increase traffic, boost sales and expand interaction with your loyal and trusted customers, give digital newsletters a try. A carefully crafted email marketing campaign can help local Wareham small businesses to compete on a level playing field with medium-sized and larger businesses in the South Coast region. This article features nine tips that you can use to help improve your custom e-newsletters in Wareham in order to improve the overall results of your primary marketing campaign. Used in conjunction with other marketing methods, digital newsletters can work to bring customers back to your website, encourage repeat sales and inspire word-of-mouth advertising through sharing to occur. If you have never tried an email marketing campaign, there’s no better time than the present. Each and every subscriber to your digital newsletters is very important to the success of your marketing program. Make sure that you make it easy for visitors who come to your website to sign up for your newsletters without having to jump through a bunch of hoops. Include your email marketing campaign sign-up in multiple locations, such as your blog page, home page, Facebook page, purchase confirmation page, order tracking page and anywhere else that you think your visitors might find it useful. It’s a good idea to provide a sample of your digital newsletters on your subscribe page so your visitors will know what to expect. Let them know how often your custom e-newsletters for Wareham small business will go out, what will be in the mailers and what format you will use for your emails, such as text-based or HTML-based. Knowing ahead of time whether or not your email will be daily, weekly or monthly will prevent you from having angry customers who feel that your mailings are too frequent. Start your relationship with your new subscribers to your custom e-newsletters in Wareham on the right foot. Send them a welcome email on your company letterhead or a pre-made welcome in HTML-format to let them know that you received their subscription request. You can even use the welcome email as an opportunity to say thank-you for their support, offer them a special deal or give them member-only access to a special page on your website. Just like in this article that you are reading right now, subheadings on each section of your digital newsletters will help recipients look at your mailing quickly to see if any of the content appeals or applies to them. Studies show that consumers judge the value of an email marketing campaign in just a few seconds, similar to the way they approve or disapprove of a web page just as fast. Subheadings break up big blocks of text, make it easy for the eye to be drawn to areas of interest and make your mailings even more valuable to readers. Wareham small businesses need to start think about what their subscribers want as much as they think about what they need. All too often the average email marketing campaign stops just short of going far enough to give the people the relevant content they truly want to receive in their email inbox. Target your audience based on their interests, shopping history and the type of services they request to create truly custom e-newsletters that will get results. Whatever you do, make sure to send your email marketing campaign mailers out on a regular, consistent basis. A newsletter needs to be a commitment from you and your local business. If you miss a couple of weeks or months and then suddenly start sending your digital newsletters again, people will forget all about subscribing and will send you messages to unsubscribe in droves. Make the time each week to plan out, write and send your mailers out according to the schedule you have set. Make sure to check your e-newsletters with a spell check program and make edits where necessary. Not only is it more professional to send out digital newsletters that are written and spelled correctly, but it will also win you the respect of your readers. Studies show that website visitors are more likely to leave a page the moment they discover a noticeable spelling or grammar error. Don’t give you readers any reason to cancel your custom e-newsletters in Wareham. Take time to learn about the CAN-SPAM Act and what you are required to do in that regard. Better yet, hire a professional company to create your email marketing campaign, such as Wareham Web Design, that has a lot of experience working with digital newsletters. If you don’t adhere to the law regarding digital newsletters, you could end up losing subscribers or getting in trouble with the federal government. Make sure to check the statistics regarding your email marketing campaigns to measure their effectiveness. When you work with a professional development company like Wareham Web Design, you will get a comprehensive statistics service included for local Wareham small businesses. Use these stats to determine how many emails were opened, how many received clicks, how many converted, how many opted out and how many shared the mailer with friends and family. Wareham small businesses and medium-sized businesses can benefit from launching a professional-quality email marketing campaign to visitors of their website and customers who have made purchases at their online store or place of business. Custom e-newsletters in Wareham will benefit from strategic planning, well-written content and by following the nine tips above. 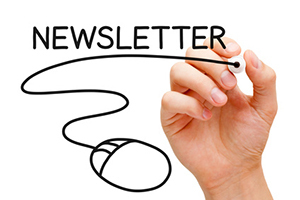 For more information on digital newsletters and other services available through Wareham Web Design, give us a call at 508-415-8468 or use our online contact form.